Despite the modern obsession with a good night’s rest, more of us are sleeping less. Perhaps we should pay attention to the advice of early modern doctors. 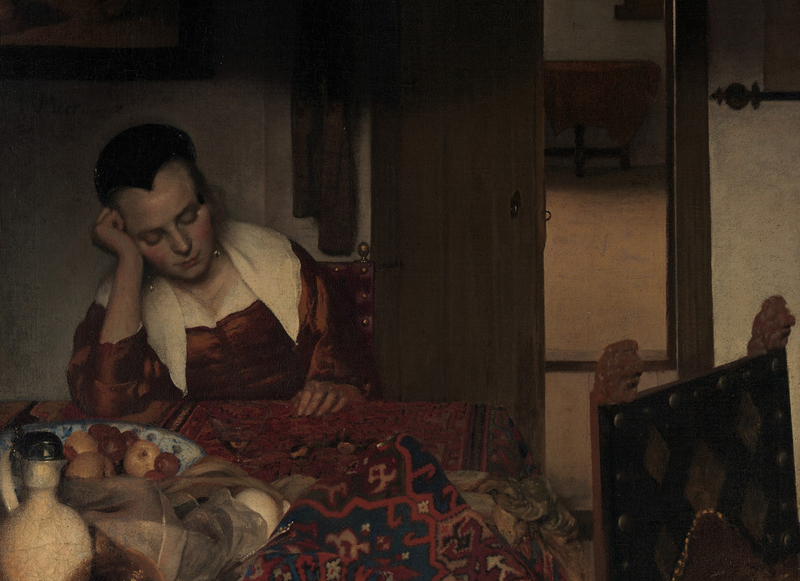 Detail from A Maid Asleep by Johannes Vermeer, c.1656–57. Sleep is an urgent topic for neuroscientists and now more than ever is known about its crucial importance for concentration and memory formation. Despite all this, the western world spends fewer and fewer hours asleep. With human interaction increasingly taking place in timeless virtual spaces, our time spent asleep is shortening and our working days are lengthening, with profound implications for the quality of the lives we lead. In particular, the impact of light-emitting screens upon the circadian rhythms, so essential to well-being, are only just becoming apparent. A similar debate took place during the Enlightenment when artificial lighting offered many people the novel opportunity to manipulate their hours of wakeful productivity. But the origins of sleep science lie centuries earlier, in Renaissance theories about the body’s sensitivity to light and darkness. 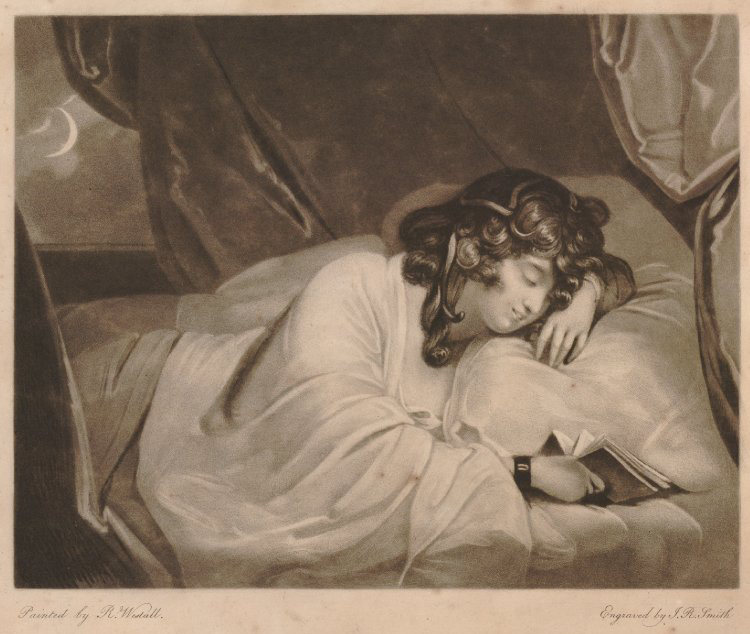 The science of sleep was developing rapidly in the 17th century, when rest was regarded as one of the core factors for maintaining good health, along with other essential ‘non-naturals’ such as air, food and drink. Most writers agreed that the optimum quantity of sleep lay somewhere between seven and nine hours and that its health-giving benefits were many and varied. The medical literature of the time however suggests that people – then as now – were often plagued by slumber’s elusiveness. 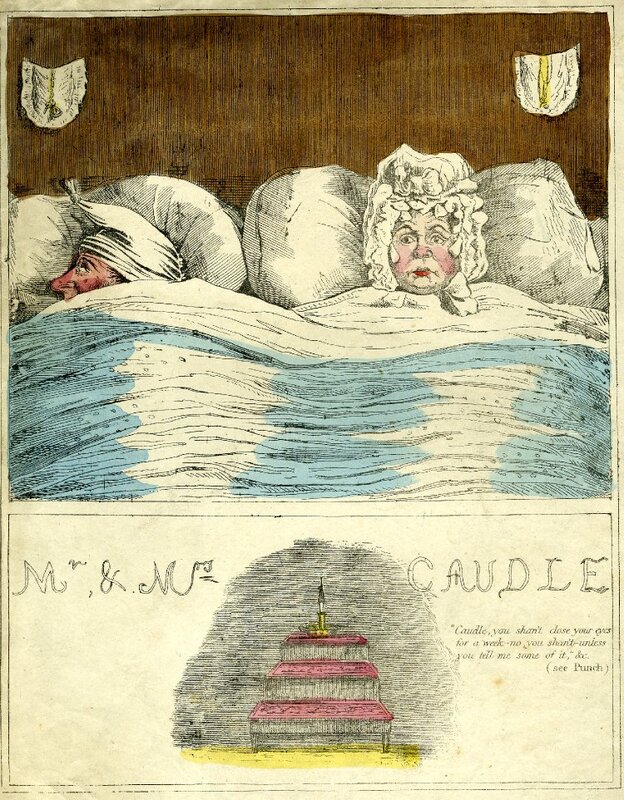 Since the way to achieve a good night’s sleep was by no means self-evident, a flourishing market developed in handbooks offering hints and advice to insomniacs. In 1637 the physician Tobias Venner suggested a range of therapies to those confronting the unhappiness of night-time ‘watching’, including ‘a good draught of soporiferous Almond milke’ blended with barley, the flowers of borage and violets and rosewater sweetened with sugar. Less conventional remedies included attaching small bags of aniseed to the nostrils or tying slices of bread steeped in vinegar to the soles of the feet. Early modern doctors knew how profoundly sleep (and lack of it) could affect not only the mind but physical well-being more generally. The body naturally purged itself of ‘foul humours’ during the hours of darkness and patients were therefore advised to unblock their own internal chimneys by sleeping with their mouths open. The physician William Vaughan wrote in 1612 that the downward passage of the body’s ‘hurtfull vapours’ could be impeded by thick leather shoe-soles, causing them to rise painfully upwards instead towards the eyes. Sleeping barefoot was therefore recommended. The urge to urinate and empty the bowels upon waking, together with a feeling of ‘sensible lightnesse of all the body’, was confirmation that the night had completed its purgative work. A sense of sluggishness, on the other hand, accompanied by the taste of last night’s dinner, suggested that the business of digestion remained incomplete. Doctors always emphasised that sleep should follow the natural rhythms of night and day: ‘We must follow the course of Nature, that is, to wake in the day, and sleep in the night.’ Sunrise was thought to trigger a chain of irresistible events in the sleeper’s body, opening the pores and causing spirits to spring outwards from the inward organs. Conversely the setting sun heralded the body’s own descent, as heat and blood retreated to ‘the inmost parts of the body’. Night-time therefore seemed to take place both inside and outside the sleeper, the body’s own ‘rising’ and ‘setting’ echoing events in the cosmos. To confound this natural rhythm by over- or under-sleeping was to resist the natural order of things, ‘so that there is made as it were a fight and combat with Nature to the ruine of the body’. We tend to think of the early modern world as shrouded in darkness, but sleep scientists were in fact already surprisingly concerned with what we now call light pollution. Moonlight was a problem in the absence of effective curtains, as it could mimic the stirring effects of bright sunshine. Staying up late by candlelight, as students often did with ‘untimely watchings’ at their studies, was particularly hazardous. Deprived of the refreshing properties of darkness, the student’s energies were instead pulled constantly outwards to sustain movement and active thought. The exhausted body, full now of ‘putrid and vaporous humors’, was thought itself to resemble an artificially extended day whose life-force shone ever more weakly outwards. Doctors often described the youthful body as a natural rebel against rest, perpetually drawn towards even the weakest sources of light. Achieving rest involved wresting control from the body’s light-seeking spirits and preserving against the odds the body’s own peaceful night-time. If bodies could rebel against the rhythms of nature, the opposite was also true. Early modern physicians were already debating the problems posed by what we call Seasonal Affective Disorder (SAD). What happens when the morning arrives shrouded in mist and gloom, more an extension of the night than a glorious new day? To the aforementioned William Vaughan, dull weather seemed as dangerous as the corrupted atmosphere of plague time. 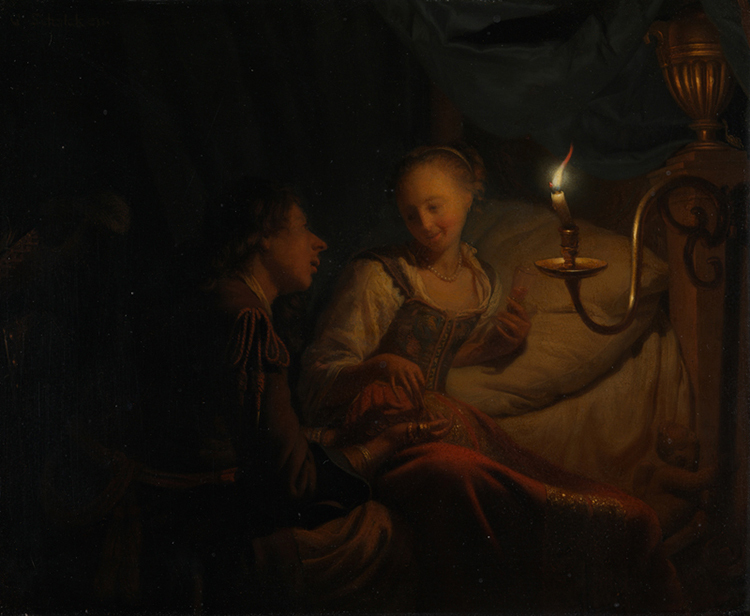 The best treatment was to expose oneself to the light: ‘It is better to abide either in bed with some light, or to sit in the chamber by some sweet fire.’ Here is the Renaissance equivalent of the UV lamp to fend off the winter blues. Scientists also began tracing connections between the sleep cycles of plants and people. Our current understanding of the human sleep cycle originates in the observations of those who noticed that the lives of plants are governed by circadian rhythms, which determine the movements of leaves and flowers in accordance with light sources in the environment. The human body-clock works along similar principles, as it is designed to be active during daylight and to rest during hours of darkness. Physicians accordingly drew intuitive connections between plants with unusual sleep cycles and people with disturbed sleep, recommending treatments based on ‘sleepy’ plants for insomniacs and ‘wakeful’ plants for sleepyheads. Perhaps the most surprising feature of early modern sleep, however, is that it was seldom taken in one long stretch. The forgotten practice of ‘segmented sleep’, memorably described by the historian A. Roger Ekirch in At Day’s Close: A History of Night-time (2005), meant that people generally slept at night in two equal intervals, spending up to two hours awake between their first and second slumber. In the long, dark winter months, when the labouring classes may have spent as many as 14 hours in bed, broken sleep was regarded as routine and natural and only disappeared in Europe with the advent of artificial lighting. The first sleep, regarded as the most indispensable and restorative, was followed by a period of ‘watching’, a state of quiet, dark and often prayerful meditation, before the second sleep led towards dawn. In the middle of the night people made love, stoked the fire or even caught up on household chores. This period of mindful night-time wakefulness was quite different from the hazardous practice of extending the evening by working into the small hours. Perhaps because it took place largely in the dark, it was associated instead with rest, recuperation and reflection. Katharine A. Craik is reader in Early Modern Literature at Oxford Brookes University. 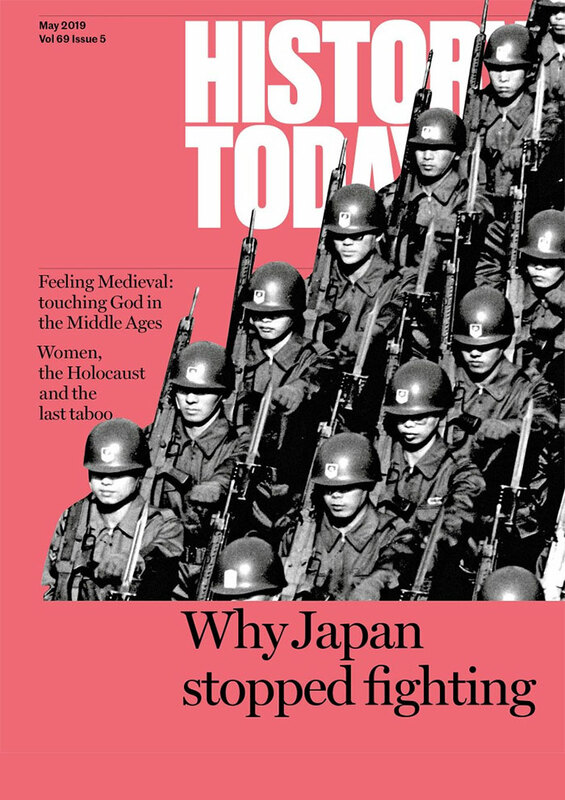 This article originally appeared in the May 2015 issue of History Today with the title ‘Sleep, Sweet Deceiving’.